This is not just a cup of tea. It’s a moment of quiet solitude. It’s shared laughter and long talks with good friends. It’s a time of reflection for all our blessings. It’s what fuels the inspiration for many ideas. It’s the reassuring hug that each day holds promise. One of my most favourite moments of the day is tea time. 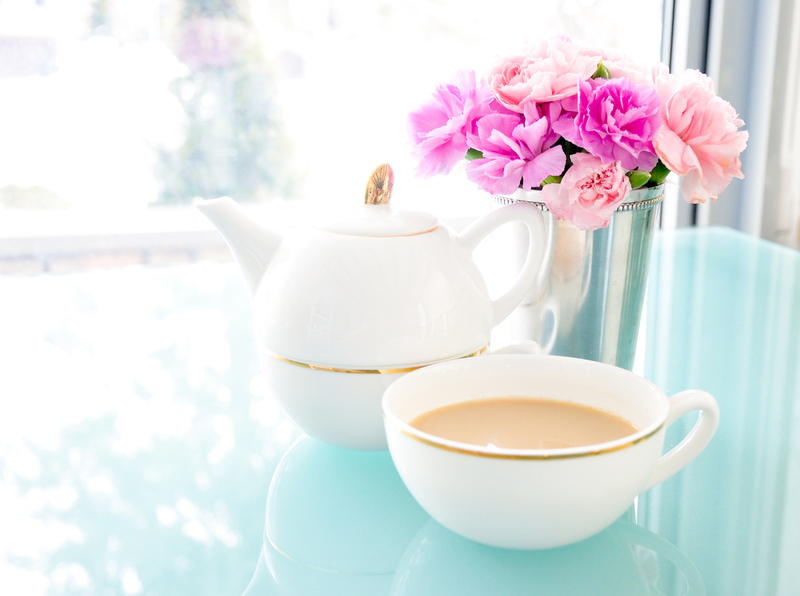 There is something calming about a cup of tea to encourage me to relax, reflect and just savour the simple moment. While most people reach for a cup of coffee, tea has always been my fix. Lucky for me there are now so many phenomenal tea choices. I have a whole cupboard dedicated to my tea collection and at this rate, I’ll soon have my very own tea emporium. Maybe I’m a bit biased because I’ve worked with these phenomenal companies, but I’m truly a fan of DavidsTea and Teh Bar. 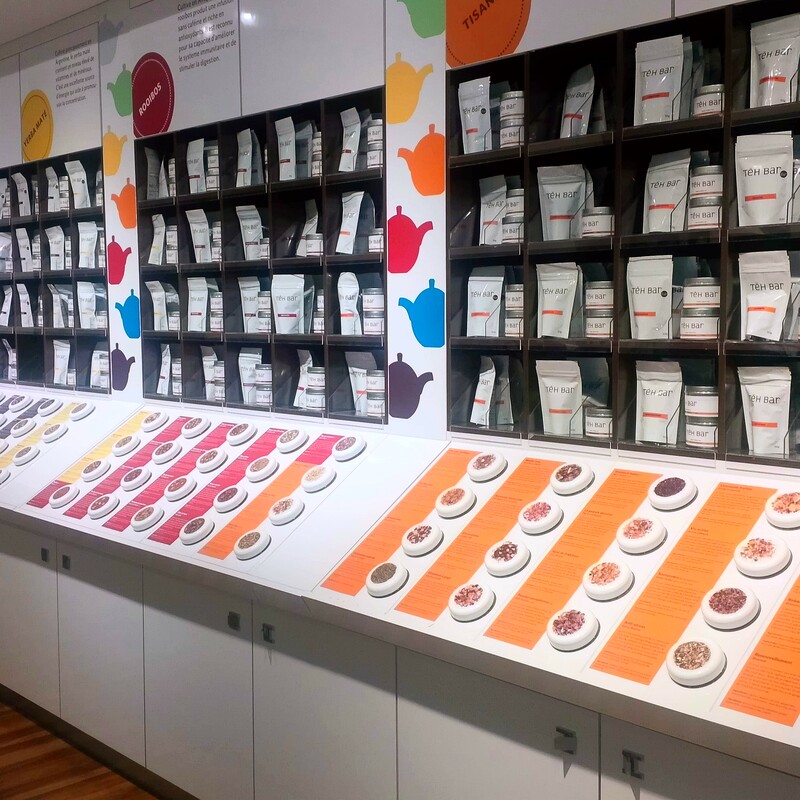 Both Montreal-based companies offer an extensive assortment of teas and exclusive blends. Right now I’m obsessed with Teh Bar’s one-of-a-kind “SNIFF BAR”. All their teas are conveniently and colourfully displayed so you can “sniff” at your leisure, or in my case sniff all afternoon long. It’s a true nirvana for the tea lover. Buttered Rum – black tea with coconut flakes, vanilla beans, cornflower petals. Toasted Walnut – a Chinese Sencha green tea with nut brittle, candied pineapple, coconut rasps, walnut bits, almond flakes. Mulberry Magic – my caffeine-free fave consisting of mulberry leaf and organic macadamia nuts. Quangzhou Milk Oolong – an ultra-rare oolong from the Wuyi Mountains of China. This tea is velvety smooth and lightly creamy, with a subtle hint of orchid. Mmm. Divine Temptation – an oolong tea with vanilla and nougat bits. Too divine indeed! Super Mom – a rooibos tea with coconut and lavendar. A definite for WowMoms who need to relax after a hard day. Pom Power – a white tea, pomegranate peels, red pepper berries, flavouring, rose petals. One sip and you’ll be ready to take on the day. Almond Chai – a rooibos tea with ginger, licorice root, cardamom, star anise, cinnamon, black pepper, apples, almonds, beetroot. Tastes as good as it smells.